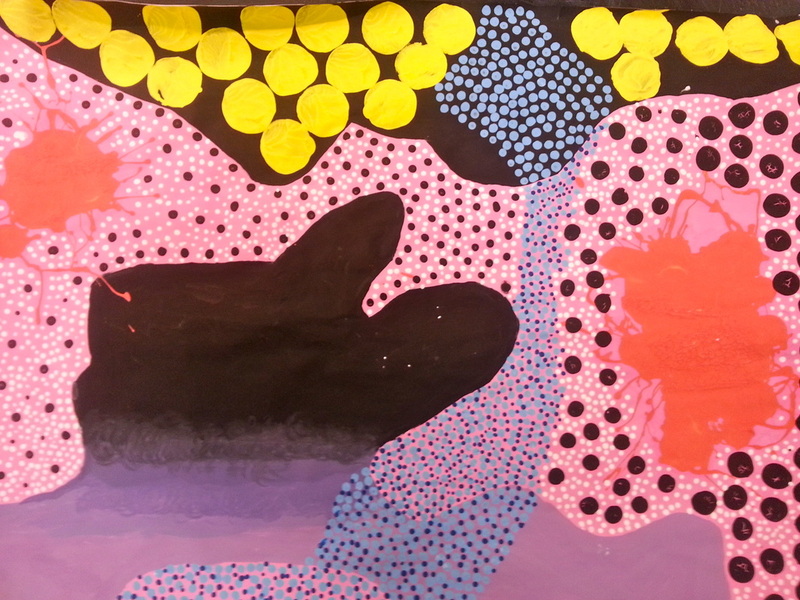 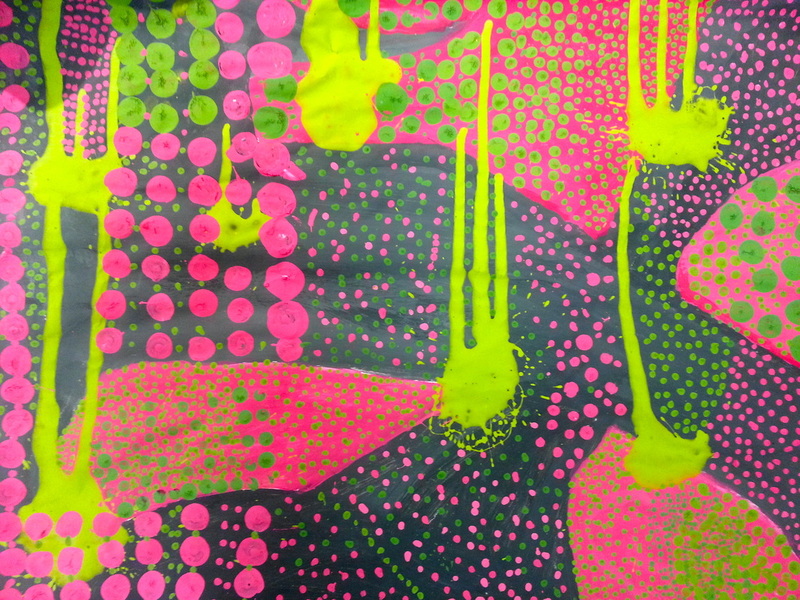 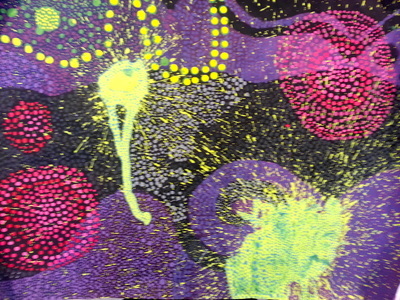 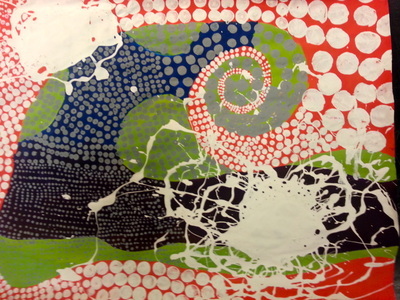 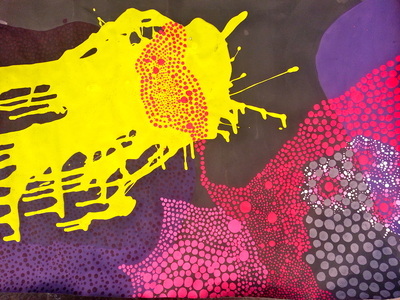 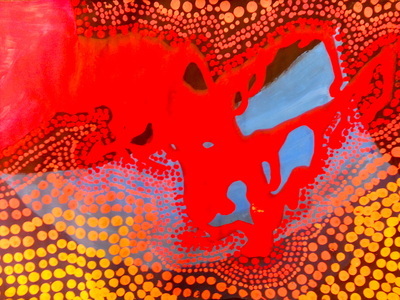 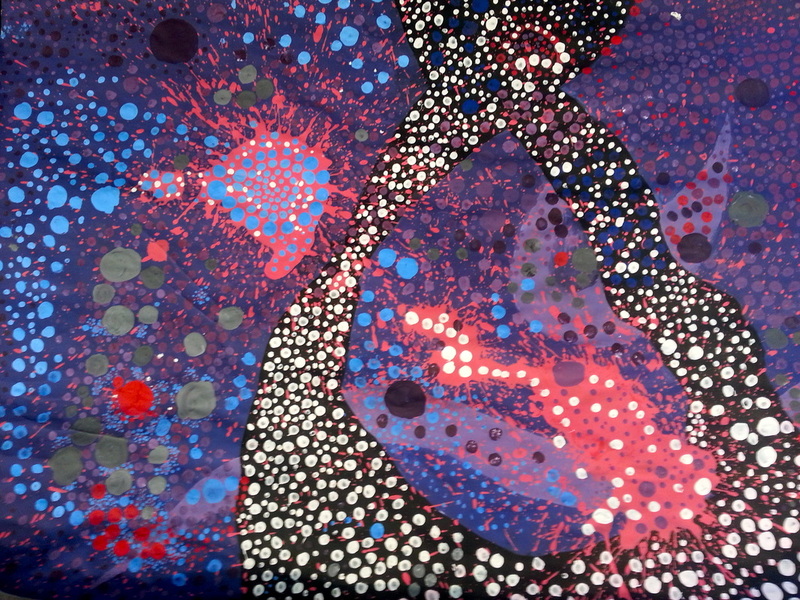 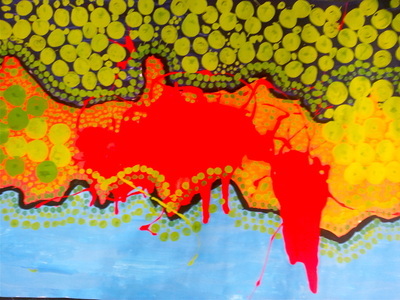 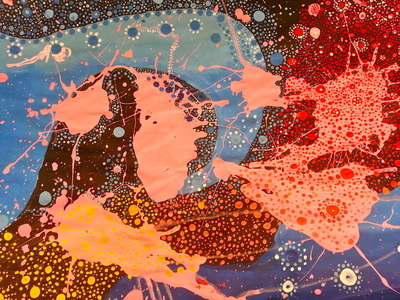 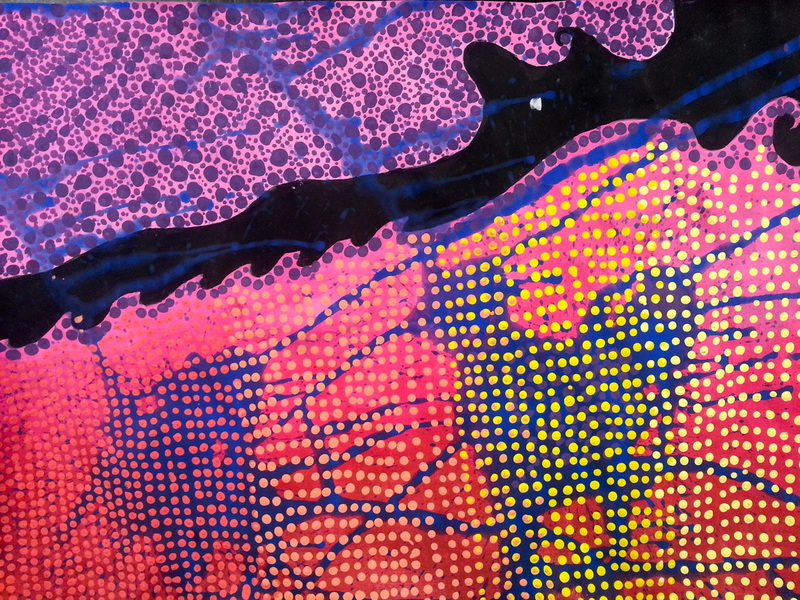 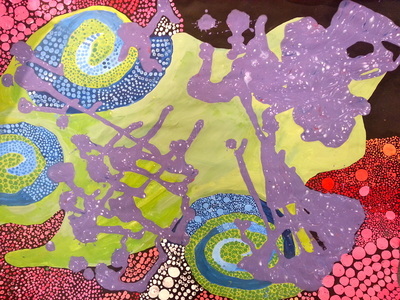 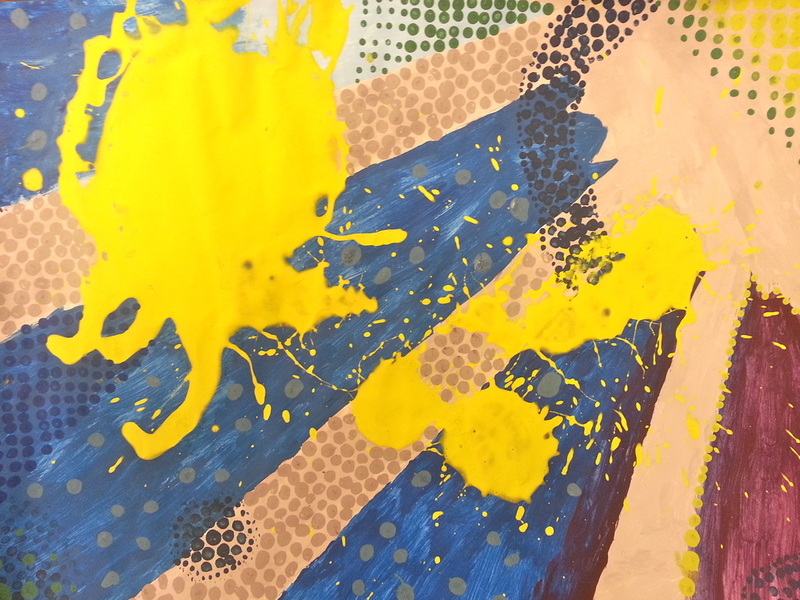 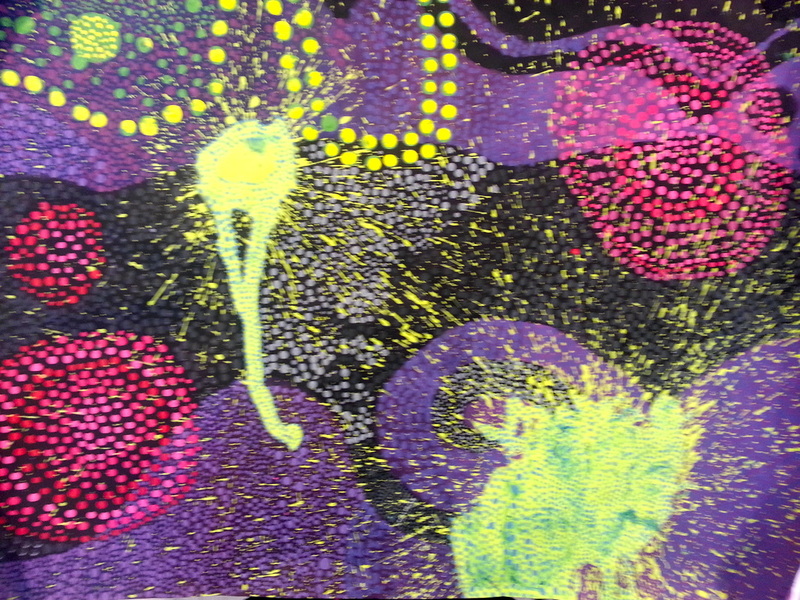 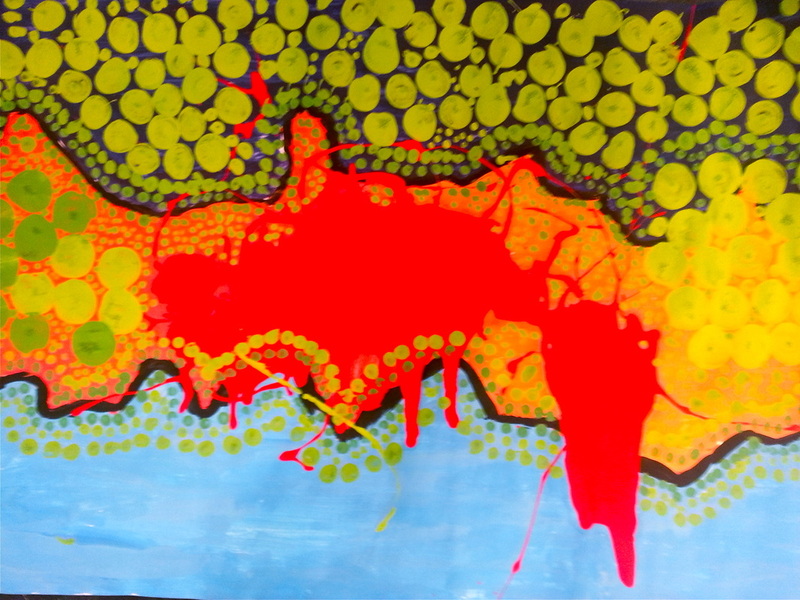 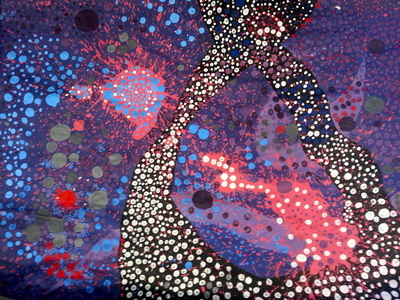 Students will create an abstract dot painting inspired by Aboriginal art and contemporary artist Vance Kirkland. 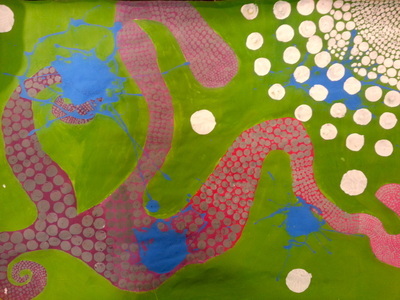 Background must be abstract and organized in an organic or geometric way. 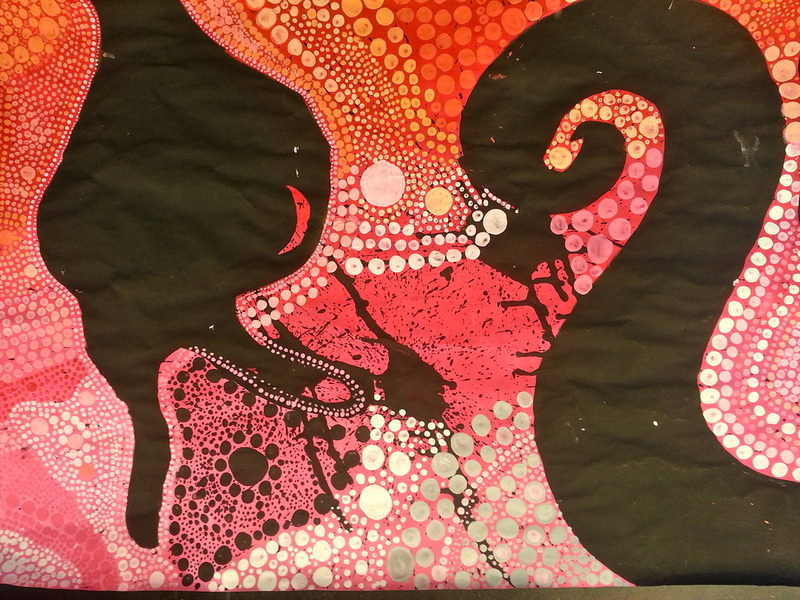 Background must include a color gradation and clean lines. Color Scheme must include 3 tertiary colors, 1 complimentary color, and 1 neutral. Splatter must be in an interesting shape, organized thoughtfully. 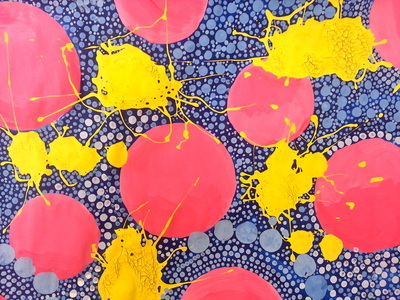 Dots must be in a variety of sizes, and organized in a thoughtful way that enhances the abstract shapes created by the background and splatter.